Friday, September 12, saw the sixth annual Tom Arnold Celebrity Roast take place at the Beverly Hills Hotel. 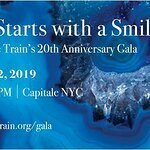 The star-studded event raised over $1 million to benefit the Kayne Eras Center program of the Exceptional Children’s Foundation, and honored Academy Award-winning producer and New York Giants co-owner Steve Tisch. Tisch was roasted – which means to make a lighthearted and humorously mocking tribute – by master of ceremonies Tom Arnold, and video roasts were provided by Bob Saget, Will Smith, and Denzel Washington. Celebrities in attendance included Eric Dane, Rosario Dawson, Linda Evangelista, and Rebecca Gayheart-Dane. The Kayne Eras Center was established in 1980 and is a state of the art, multi-service special education K-12 school and therapy center in Culver City, serving over 550 children, youth and adults and their families annually. 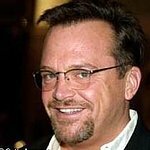 The annual Tom Arnold Celebrity Roast has raised money for the facility every year since its inception, and honors individuals for their philanthropic work involving children and education. Previous honorees have included Tom Arnold, James Cameron, Budd Friedman, Leslie Moonves, Ed McMahon, Pat O’Brian, Stephen Shapiro, and Stan Winston. Steve Tisch is the only person ever to have received both the Lombardi trophy – for his victory in Super Bowl XLII – and an Academy Award – for his work on Forrest Gump. He is extremely active in many different charities throughout Los Angeles, including the Kayne Eras Center.